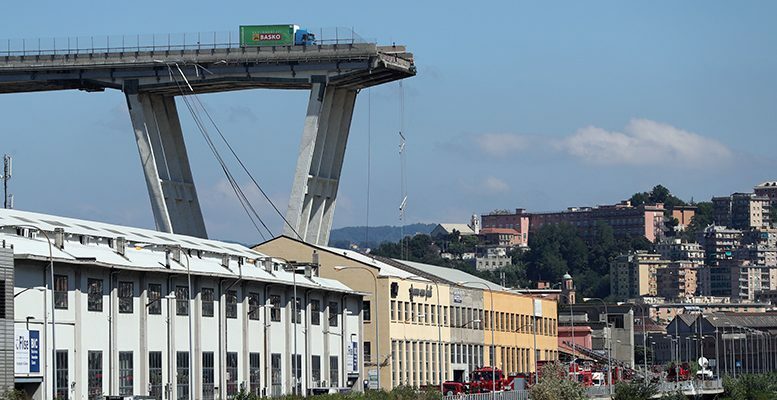 Santander | After the collapse of the Morandi bridge in Genoa, the Italian government has begun the process of terminating ASPI´s concession. The management team could try to negotiate possible solutions to avoid the termination, despite the protection offered by the terms of the contract. We believe that the share price of the company will continue to fall, but we are waiting for the situation to stabilise before revising our position. We would not take positions in the short term, not even below the level of 20 euros/share. Our new objective Price is 27.60 Euros/share. The terms of the concession offer no clear option for termination, but this does not seem to worry the government. Articles 8 and 9 of the contract of the party conceding the concession the option of terminating it only in the case where the concessionary has not fulfilled its obligations during a specified period of time after the notification of fault by the party granting the concession (which until now had not happened). Even if the termination of the concession van be attributed to proven poor conduct, Atlantia would have the right to receive compensation equivalent to the net current value of the concession´s cash flows up to 2038, minus a fine of 10% and the net debt pending of the concession. Valueing ASPI´s equity capital at 15 billion euros, the fine could reach 1.5 billion euros. It is difficult to quantify the impact on its equity capital in the future. ASPI has 1.5 billion euros of operating costs, of which 530 million euros correspond to maintenance. It is posible that Atlantia will commit itself to increasing maintenance costs by around 50% up to 2038, which would contract the equity capital of ASPI by 3 euros/share (somthing not included in our objective price). The extension of ASPI´s concession, which is worth 2.2 euros/share in our valuation of the sum of the parts (elminated from the objective price). Atlantia could also finance the entire cost of rebuilding the bridge (we estimate between 0.5 and 1 billion euros) without remuneration (not included). Moreover, Atlantia could agree not to distribute dividends to the parent company for a specified time (although this is mere speculation). Despite its insureance policy, Atlantia could begin to make provisions related to the posible responsibilites arising from the legal investigation into the tragedy. It is unlikely that tha takeover of Abertis will be delayed. We do not believe that Atlantia will suspend the acquisition of Abertis, given that it now makes even more sense than ever to diversify. Despite the need for non-recourse financing, the costs of the acquisition could increase, we are still not in a position to offer an adequate valuation in this respect. Does it endanger the dividend policy? It is posible that Atlantia will revise its dividend policy to avoid additional political tensions. There we have applied a 10% discount in our valuation for discounted dividends. Atlantia Offers €16.341 Bn For Abertis. Accept It Or Not?